A wide variety of Charlotte Food Trucks set up shop in South End Charlotte every Friday night — as long as the sky doesn’t open. 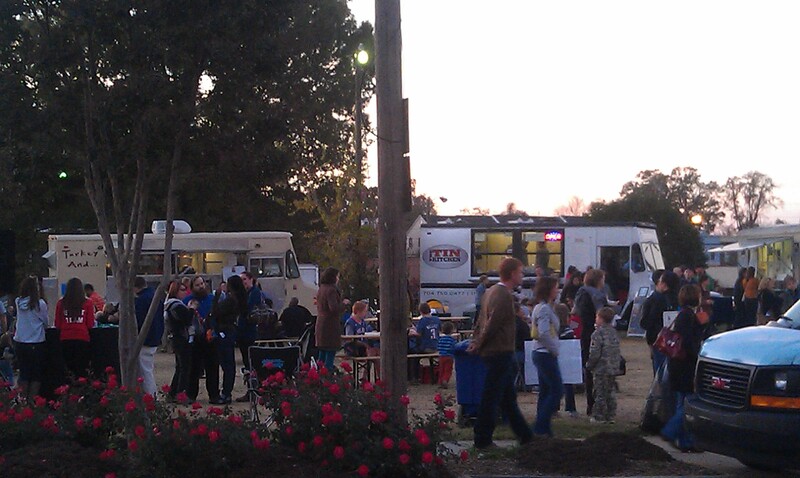 Find them at the Lunch Lot at Camden and Park Ave from 5-9 p.m. You can eat at picnic tables provided on site. If the weather is drizzly, they wait it out and provide tents for shelter while the sky clears. Details.